Born 1952 in South Africa. He joined the Pretoria News (South Africa) as Editorial Cartoonist in 1979. In 1981 The Rand Daily Mail (South Africa’s anti apartheid mouthpiece) employed Anderson as its cartoonist until its closure in 1985. He was appointed Editorial Cartoonist and Graphics Editor to the Star (South Africa’s largest daily paper) in 1984, he held that position until moving to Canada. He has continued to hold that position at the Sunday Times and the Pretoria News where he started out in 1978. 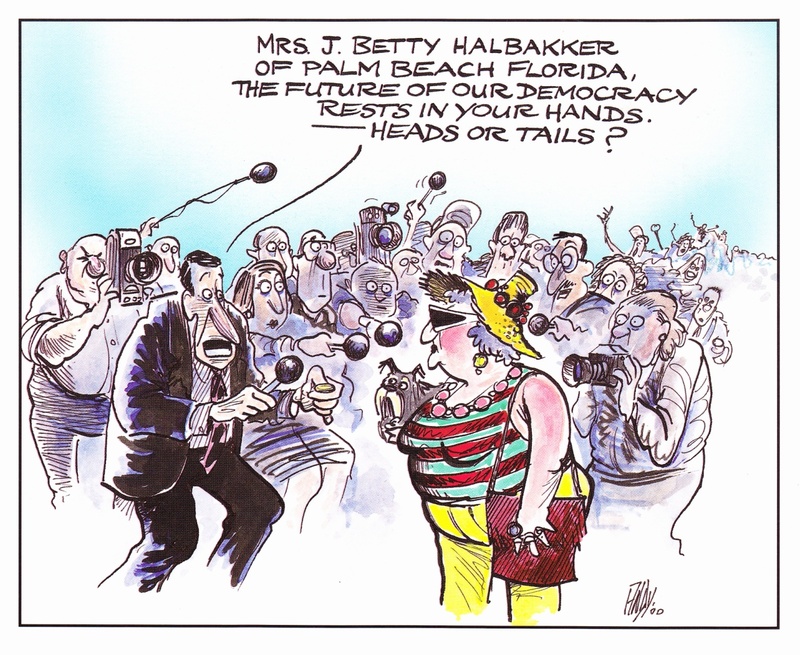 His drawings were first published nationally in 1981 in the Sunday Times. He was awarded Cartoon of the Year by the Standark Bank in a national competition, He was at the Rand Daily Mail until it ceased publication. He then joined the Johannesburg Star where he worked as a picture editor and press artist until 1987. At The Star, he was also a press, satirical and theatrical artist. In 1990, he moved with his wife and three children to Toronto, where he has freelanced as a cartoonist and illustrator to various Canadian publications particularly for the Toronto Sun. From there he faxed and then e-mailed two editorial cartoons a week back to the Johannesburg Star for the next twelve years until 2002. He is syndicated worldwide through Cartoonists and Writers Syndicate in New York, winner of The Duncan McPherson award for cartooning in 1998, The Fraser Institute award (Economy in Government) 1996, The Standard Bank Cartoon of the year 1983 and 1984 amongst others. He published ‘The Cartoons of Andy’ in 1990. Caricature . Cartoons Canada. Ed., Terry Mosher. Linda Leith Publishing, 2012: 85. Portfoolio 22: The Year’s Best Canadian Editorial Cartoons. Ed., & Writ., Warren Clements. McArthur & Co. 2006: 146.
anderson illustration bio. n.p. no date. Web. 4 Oct. 2011. “David Anderson.” Association of Canadian Editorial Cartoonists. nd. Web. 4 Oct. 2011. Anderson: Portfoolio 17, Back cover.